Dynamos forward Christian Epoupa has started training after recovering from an ankle injury sustained during trials at Bidvest Wits two weeks ago. 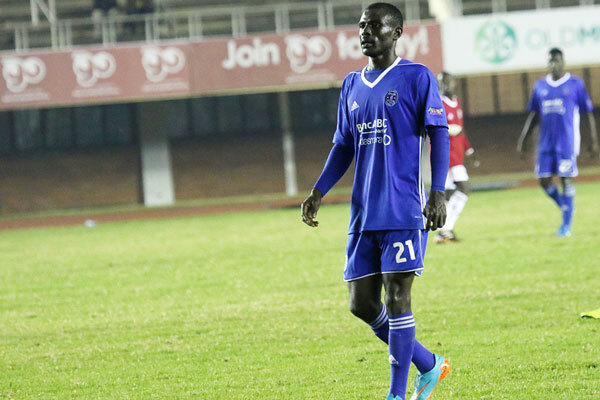 The 24-year-old Cameroonian suffered the injury just a few minutes into his first practice session at Wits and had to return to Zimbabwe to see off the remaining year of his contract with Dynamos. Team manager Richard Chihoro told The Herald that their top striker has been cleared by the doctors to start light training and should be joining his teammates today. “The doctors have been working on his ankle, and they have recommended him to start some light exercises. So he is back in the gym,” he said. Epoupa could make another attempt to move to ABSA Premiership during the July transfer window since several clubs such as Kaizer Chiefs, Ajax Cape Town and Polokwane City are still reported to be interested in his services.